This website is my personal blog. It's my own work and my own creation, I draw your attention to the legal tab above. Anything I write or publish is my own words, own opinion and not that of Red Hat or anyone on their payroll. I left Red Hat's Security and Cloud team in December 2016 and am not connected in any way apart from being their biggest social media pimp and hosting their most succesful podcasts week on week from the back catalogue. 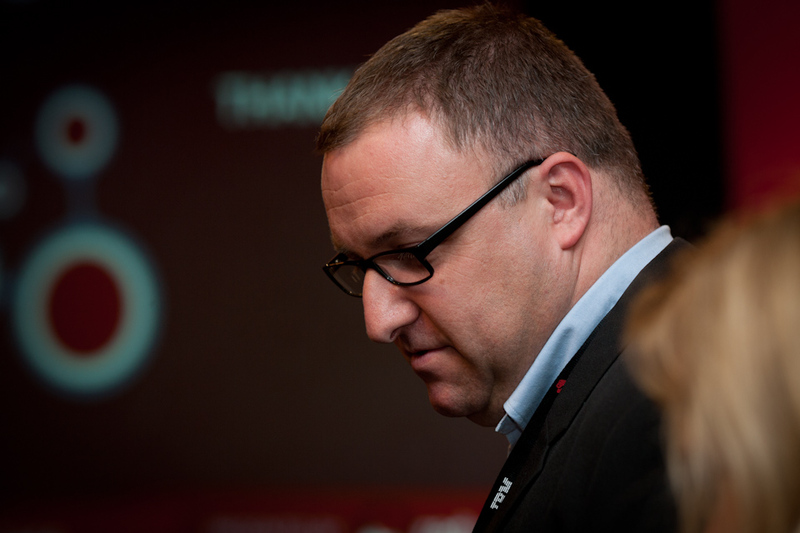 My name is Richard Morrell and I looked after security strategy at the global leader in OpenSource, Red Hat. My role at Red Hat is to ensure that Red Hat as an SEC listed NASDAQ listed software company powering the major banks, airlines, governments and enterprise businesses aligned security top dead centre. I also speak at major events, shape products, certify environments you use daily ! Working not just to ensure our technology meets or exceeds the governance needs of customers but also that we are always and everywhere engaged with the global security community to understand threat. Threat from cybercrime and zero day exploits against specific technologies both in Cloud and in the bare metal world of server based computing but also in the IoT and mobile space. Prior to coming home to Red Hat in 2010 I sat in the leadership team at Logica (now CGI) as Principal Security Architect engaged with the defence industry and advising government in the UK and the US as a CLAS consultant. Working with GCHQ and security accreditors across UK Government to advise and provide guidance on bleeding edge security threat. Since leaving Red Hat I've been founder of AuditSec Services, CTO at Gartner and am still a director and board member of the Cloud Security Alliance where I serve as CISO. I am now CTO of British security house Falanx Group. Some people best know me as the founder of SmoothWall the world leading internet filtering and firewalling technology that protects over 13m networks worldwide which I founded with Lawrence Manning in August 2000. Protecting schools and their pupils, protecting hotels, industry, retail, every business vertical globally. For my sins I also have worked since the dawn of time in the Open Source space with Red Hat, Linuxcare, VA Linux.com and Zimbra as well as being sponsor to major chunks of open source sponsorship and development over the last seventeen years. I also host and broadcast a couple of popular radio shows available online via iTunes, Stitcher, Player.fm and many other syndicated sites globally. Locked Down - my security radio show talks to the leading lights in the security industry about everything from cybercrime to fraud and security enforcing technologies. The Cloud Evangelist Show has over 100 episodes talking from everyone from The White House to the BBC and everyone in between about cloud, security, architecture and best practices in virtualisation. Do subscribe or listen in to hear strategies and conversation from some of the brightest folk on the planet. I am the security editor on thestack.com - follow the Press button in the navigation menu at the top of this screen to read some of my writings and thoughts. Visit the podcasts tab at the top to listen to any of the 130+ radio shows in my archive. I'm dad to two amazing chaps who are centre of my universe and I live in Wiltshire in the UK with my amazingly supportive wife and our pooch.